Ibiza is a magical land in which all the conventions of society are overturned: in Ibiza, it is always 2006; in Ibiza, Michelle Rodriguez and Zac Efron are a totally average couple, and noble elves throw punches at bewigged Gollums. 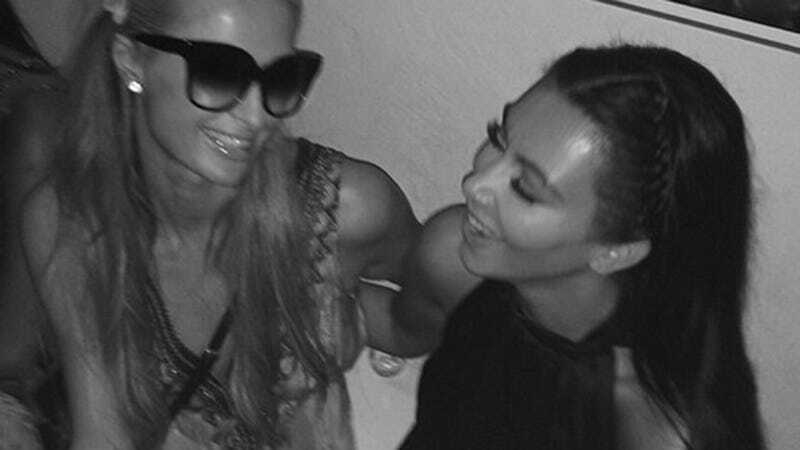 Thus, in Ibiza, Kim Kardashian and Paris Hilton smilingly reunited and it was good. Kim posted the photo from Riccardo Tisci's birthday party in the Land of Magic and Jet Skis; she captioned it, "Reminiscing about the 1st time we went to Ibiza in 2006! @parishilton it was so good to see you & catch up!! Loves it lol."